The minister of state of federal education, Engr. M. Baleeg ur Rehman has emphasized on the positive role of NGOs and donors and asked them to continue their role for the education sector. He was addressing the conference with the title of “peace through education” organized by human resource development network and international rescue committee. He praised the effort by donors and NGO s and said that peace is linked with education. He talked about out of school children and said that knowledge is essential for both males and female and this out of school children are no doubt a major issue for country. He pointed out the reduction in the number of out of school children and said that in our government’s two years effort, the number of out of school children has gone done two million from original figures. According to him, the spending on the education sector has been considerably increased in current government as now 7.75 billion are allocated while two years ago, the amount was merely 5.50 billion. The minister also pointed out that through the education program by government, we have seen 63 % girl’s enrollment in FATA, which show we can do anything we tried to. He said that we are better than India in the area of gender disparity. He briefed that we are remodeling public schools in Islamabad territory, which the exactly right step. The minister added that access to education is definitely an issue in many remote areas for which we have to build more schools as every child is the responsibility of the state regardless of area and caste. On the coming budget, he said that this year expectedly, we will allocate 2.7 % of GDP to education and we are hoping to achieve 12 % tax to GDP ratio. He showed his government commitment towards education and requested the donor partners to support the government in education projects. He said that federal education ministry has established “national curriculum council” in collaboration of provinces. He added that not only just curriculum; we are committed for the character building of our students. The conference was actually organized in context of “children education for peace” model implementation in FATA that has been successful. The participants also highlighted the need of programs to achieve sustainable peace. The model success in FATA is one the achievements of this government & they must take credit for this. These kinds of model should be started in south Punjab and Baluchistan, where the girl out of school ratio is much less than other areas. 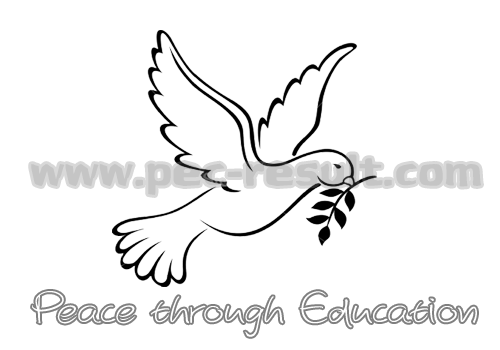 It’s true that without education, you can’t attain peace and without peace country’s stability becomes a question.